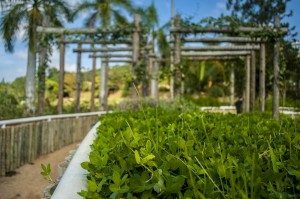 UFJF’s Sensorial Garden aims the exploration of the touch and smell senses. It allows visitor to escape from routine in favor of relaxation. It is divided in four parts (fire, water, earth and air), so that each one of those steps has different kinds of plants and lands. The visitor is asked to be blindfolded and to take off their shoes, to enhance the experience. 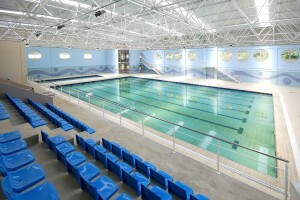 The recently renovated complex covers two swimming pools, sports court for futsal, volleyball, basketball, and handball, soccer field, soccer society court, two tennis courts, a shuttlecock and a badminton court, athletics track, gym and pilates studio. The facilities are in accordance with international standards, specially the athletics track and the sports court. UFJF signed agreements to receive delegations to prepare their athletes at our facilities for the 2016 Olympic Games, like China and Canada. Besides serving as classrooms for Physical Education School Students, the Sports Complex is also open to the community, for activities coordinated by professors and taught by students, enhancing the citizens’ quality of life. The projects encompass swimming, pilates, yoga, tennis, basketball, artistic and rhythmic gymnastics, athleticism, folk culture and gym classes, among others. UFJF’s Botanic Garden is a 845,000 m2 area of Mata Atlântica forest that provides students a real field of study and citizens a leisure area, with good quality of life and environmental education. 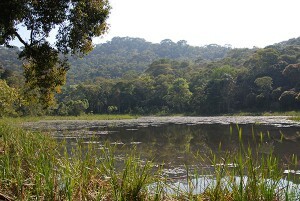 It is located inside Mata do Krambeck Reservation, world’s largest private reservation of Mata Atlântica in urban area.